Faire Play: 3D printed medieval armor for Barbie dolls. Faire Play III has been released! Getcha red hawt battle tardigrades heah! The teaser trailer for Faire Play III has been released into the wild! Join The Horde to be notified when the models are available later this week. Faire Play 2 has concluded and now you can purchase the Faire Play Chariot, Gladiatrix Armor, and Empress Makeover Kit at The Bazaar! Announcing Faire Play 2: When In Rome! This time around we’re crowdfunding a Barbie compatible 3d-printed Roman chariot that can, in theory, be pulled by cats. Check out the project page for details. You can now buy a Barbie-compatible recurve bow and quiver on Shapeways! The Faire Play Parade armor is finished, thrice-printed, and on its way to our top-tier backers! Thanks to everyone who backed the project. If you missed out on the initial fundraising period, you can still get your digital paws on digital sets of the armor. Anyone interested in keeping up-to-date on Kickstarter #2 should totally join The Horde. Details, details! Let’s zoom in a bit on the armor, shall we? First, the helm. Every piece of the armor (there are well over 40 if one counts the clips holding the dangly pieces together) is designed to be printed on an FDM printer. I used this gold PLA from BuMat and had excellent results once I dialed in the print temperature to 180°C. To date I haven’t shown the details on the back. Let’s remedy that by showing how the gorget clips around the neck, and a closeup of the feathered pauldrons. I struggled with the heraldry for a while and ultimately decided on a stylized rosebush. Birds, too, of course. Plant motifs, mostly vines and roses, are repeated on the greaves and cuisses. Getting the flanges on the poleyns to print was a bit of a challenge; I’d originally tried to separate them out but in the end decided they worked best as single pieces. And of course milady needs spurs. I lost count of how many rivets are on the armor, but it’s way north of a thousand. The back of the shield alone’s got a couple hundred. So ends the bulk of the Faire Play Kickstarter. There’s still a stretch goal to fulfill; I’m still waiting for a prototype of the Faire Play recurve bow to arrive from Shapeways. Once that loose end has been wrapped up, it’s time for me to get cracking on Kickstarter #2. Aw, yeah, my frangs. I gots plans. The Kickstarter was funded (over-funded, really) and I’ve been busy, busy, BUSY modeling the parade armor. I recently posted the backers list, wherein you may view the name or pseudoynm of every person or organization who chose to make their support of Faire Play a matter of public record. One could be forgiven for believing Zheng3.com had been taken offline for the last few months. When last we spoke I’d been reviewing the Nissan Leaf, mostly as an excuse to lift my nose off the pre-Kickstarter grindstone for a few hours. It’s been busy over here, yo. The modeling and test printing for this Kickstarter was finished weeks ago, which left only the tasks of editing my video and sticking pins into voodoo dolls of the Apple Motion 5 development team. The armor you’re seeing in the video is just a prototype; I’m calling it Barbie’s field plate, the suit she uses for tournament practice and tromping through the muck outside the walls of Winterfell. With the shield she’s AC 1, at least by Second Edition AD&D rules. Nice as it is, the fully functional prototype lacks style. It needs engraving, enameling, besagews, bevors, flanges, and flourishes to become a suit befitting Barbie’s high station. If the Kickstarter’s funded, I’ll refine and improve the prototype to create a highly detailed suit of parade armor for our fair lady. The digital files for the suits will be distributed under a Creative Commons license, which means that anyone will be able to modify, redistribute, and even sell the files and their 3D printed derivatives, as long as they credit the original designer. Yes, if you’ve got a 3D printer and a nearby Renaissance faire you could make a mint hawking Barbie armor downwind from the turkey legs. Interested? Back the effort on Kickstarter. Mid-level backers will receive a 3d printed Athena Makeover Kit; a 3d printed spear, aegis, and winged boots. The spear and aegis should clip on to pretty much any doll that’s roughly Barbie-sized, but the boots are designed specifically for a doll in the Barbie Fashionistas line. Anyone with access to a 3d printer can download and print the Athena Makeover kit for free, right now, from The Forge. No backing necessary, but if you want to throw me a Hamilton by way of Kickstarter you’ll receive STL files for the parade armor after the funding goal is reached. Hat tip to the Elder Zhengspawn for coming up with the idea that the aegis should bear a snake-haired Barbie face. Nice work, young lady. In the interest of fulfilling the terms of the Creative Commons license, you can download a list of credits for the sounds and music used in the video here. Huge thanks to everyone who shared their work and made the video possible, but in particular to composers Steven O’Brien, Navroz Khosla, and Chino Yoshio. Aha! “Action Zheng figure construction set” was almost very nearly a partially correct guess! Also, this is a very cool idea and we just backed it. . .
– the file layout on Thingiverse is a little confusing, with the zip-within-a-zip and the somewhat duplicated files, but we sorted that out. – The aegis prints really well. Even on an unheated bed it didn’t curl at all, and it looks great. The clip fit well enough to use it without glue, though I think adding a couple of drops is a wise precaution. – The dory won’t fit on our Printrbot Jr’s bed and our big printer was busy, so I modified it to fit in two separate ways, one time shrinking the length without changing the width or thickness, and the other just cutting it off behind the arm clip. Both worked, though we will print the properly long one at some point soon. The spearpoint looks nice but it is very thin, and may end up being a bit fragile in play. In the end perhaps that’s better, so it is less likely to be an effective eye-poker. . .
– The boots printed very easily, nice detail and perfect results on the wings, with just two noticeable issues. The plastic was *very* thin on the lower sides, almost see-through, and I had to handle them carefully to avoid crushing that part. I’m not sure whether adjusting perimeters will help that, or whether the object itself would need to be thicker (and they’re already a bit heavy, as you’ve pointed out). Also, the snap-together protrusions and sockets needed some fine-tuning before they would work. I got them to the point where they’d snap and stay on her feet, but the seams aren’t closing quite all the way so they need some more tweaking. Now I need to get my daughters to make a tunic, because for all my might and prowess on the 3D printer, I am helpless with needle and thread. . . Thanks for the feedback, Bill. I may have to make those snap-pins a little more loosey-goosey before I ship printed versions to backers. Looks like I’ll be getting plenty of practice printing those, assuming the Kickstarter is funded. Superb! I love the little details on the shield as well as on the full golden Armor set, that really makes it feel realistic and pop, the Valkyrie -like ear wings on the helmet are a gorgeous touch. I would love to hear what you think? Hmm… horse armor’s an excellent idea. I haven’t measured any Barbies other than the Fashionistas line, so I can’t say for sure whether the armor would fit other models. My guess is that it won’t, unfortunately. Under 3.5 Barbie would be AC 20 assuming Full Plate a Heavy Steel Shield and a Dexterity of 10. 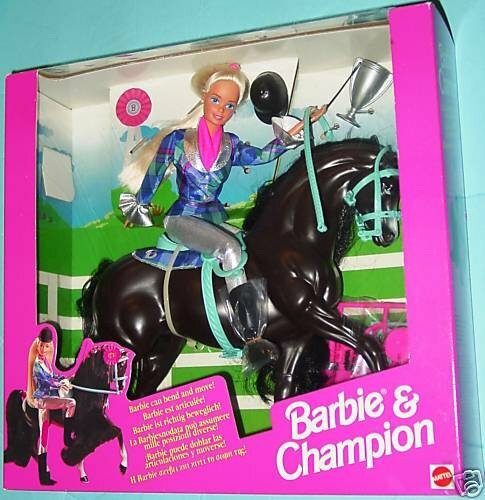 Under 4th Barbie would be AC 21 assuming Plate Armor a Heavy Shield and 1st Level. Your new terminology frightens and confuses me. Will you ever be selling the complete printed sets? I don’t have a 3d printer. Hi Julie! The short answer is: maaaaaaaybe. Email me at jim@zheng3.com and we can continue this conversation in private. With the announcement of curvy Barbie (and other body shapes), will you release updated versions of Faire Play? Will it be possible for those of us without access to 3D printers to buy printed suits of armour? Possibly! Right now I’m gearing up for Kickstarter #4 and the printer’s muy occupado. Message me at jim@zheng3.com and we can discuss further.